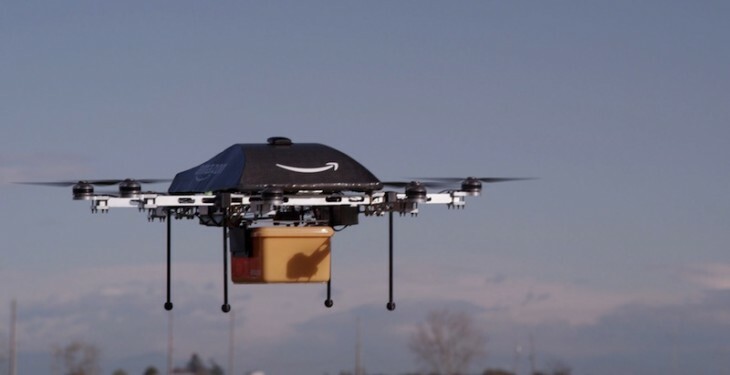 Amazon’s efforts to build a drone delivery service, Amazon Prime Air, have thus far been restricted by its inability to run test flights in the US. However, CNET reports that the company has filed a petition with the Federal Aviation Administration (FAA) to conduct outdoor flights from its R&D lab in Seattle. Currently, hobbyists and drone manufacturers are allowed to fly drones in the US, but commercial businesses are restricted from doing so. Amazon’s filing is requesting an exemption on the grounds that it’s in the “public interest” because Prime Air fits the FAA’s own goal to get commercial drones up in the air. Amazon revealed in its letter that it’s working on eighth- and ninth-generation vehicles that can travel at speeds of 50 miles per hour. The firm’s Prime Air R&D team includes a former NASA astronaut and other experts in robotics and aeronautics. When he unveiled the program late last year, Amazon CEO Jeff Bezos speculated that the program, which aims to make deliveries in under 30 minutes, could launch in the next 4-5 years.